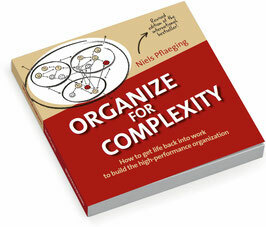 Organize for Complexity - 3rd Ed. Paperback. 144 pages. Fully illustrated, fully colored. With bonus chapter. New 8.0x8.0in format! Organize for Complexity e-book. 3rd Ed. ca. 144 pages. Fully illustrated, fully colored. With bonus chapter. 140 pages. Fully illustrated, fully colored. Visit Niels Pflaegings website to buy this edition. 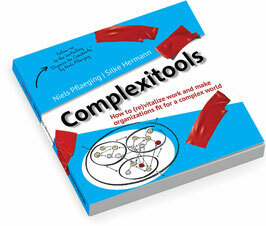 English edition - our latest book! English edition - pre-order now! Pre-order now. Books will be shipped promptly upon release! Niels Pfläging/Silke Hermann. BetaCodex Publishing, 2019. Paket mit 10 Exemplaren. A4-Format. 32 Seiten. Durchgängig farbig. Paket mit 20 Exemplaren. A4-Format. 32 Seiten. Durchgängig farbig. Paket mit 10 Exemplaren. A4-Format. 64 Seiten. Durchgängig farbig. Paket mit 20 Exemplaren. A4-Format. 64 Seiten. Durchgängig farbig. We apply attractive discounts to all orders from 10 copies upwards. International shipping is available to all countries.